…to walk home along the river valley paths after work. And, it was a great walk, almost 90 minutes in duration. Bright sunshine, dim sunshine, and then twilight. Next week it will be dim sunshine and twilight. And the week after that, night and plenty of it. It doesn’t feel like November, but I’ll take the calendar’s word for it. The magpie nest I passed near Louise McKinney Park was enormous. Without the foliage on the trees, their nests are suddenly in plain view, and ya gotta admit, these birds are impressive home builders. I’m on record as being one of the few people who actually love magpies, so I never miss an opportunity to sing their praises, or feed them, if I happen to have a peanut or two on my person. Which I often do. At my bird feeder, the magpies pick through the nuts until they find whatever passes for peanut perfection, and then carry it off to the nearest tree to poke out the nut with their beaks. Again, impressive. Sure, they might prefer a half-eaten weenie, or the desiccated carcass of some lesser life form, but they are discerning and rather graceful peanut nibblers. I’m glad to have their company throughout the winter months. 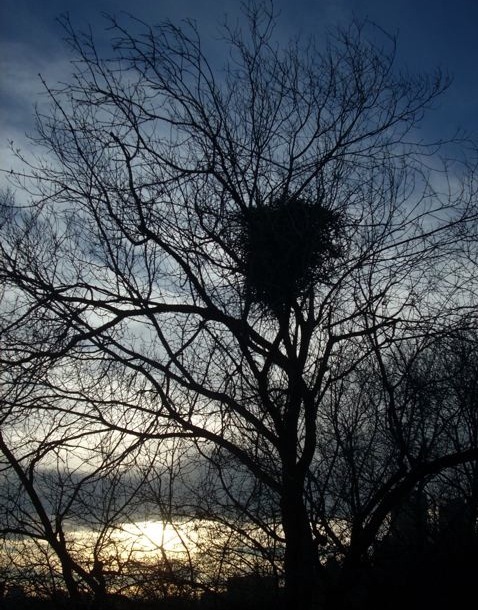 I just hope those giant nests have central heating.